When it comes time to plan out your home renovation project, you’re faced with finding a balance between the practical and the decorative. Luckily, with ceramic and porcelain tile you get both. How are glazed and unglazed tiles made differently? In terms of how they are manufactured, there is no difference between glazed and unglazed ceramic and porcelain tile, other than the fact that glazed tiles undergo an additional phase in the firing process. During this additional process, a layer of liquid glass is added to glazed tiles by means of very high temperatures. Unglazed tiles tend to be denser and thicker than glazed tiles, and because of their unfinished exteriors, they tend to be a great choice if you’re looking for a slip resistant surface in an area like a laundry room or kitchen where the tile is likely to be subjected to high amounts of moisture. In terms of safety, this is a big consideration. For areas with heavy foot traffic, as well as outdoor applications (in milder climates), unglazed tiles are a very good choice. Along with safety benefits, unglazed ceramic and porcelain tiles are sought after because of their scratch resistance and natural beauty. Since they’re colored by the mineral deposits from where the clay was originally taken, these tiles offer an earthy aesthetic quality. A limitation of unglazed ceramic and porcelain is their vulnerability to staining. As a precaution, it’s a good idea to use a sealant and a wax after installing unglazed ceramic tile indoors. Although glazed ceramic and porcelain tile are a little less robust in terms of density and thickness than their unglazed counterpart, they allow for a wider range of styles and colors. Glazed tiles also tend to be more resistant to staining, as they’re protected by a non-porous layer of liquid glass. When it comes to the glaze itself, different options are available and will impact the degree of durability. Some varieties of glazed tile are fired at higher temperatures than others, and therefore are harder as well. This can often be determined by how light or dark the glaze is, with lighter glazes generally being harder than darker glazes. Then there is the issue of gloss: matte and satin finishes are generally harder than shiny finishes. As always, it’s a good idea to try and strike a balance between practicality and decorative taste when choosing your glazed ceramic and porcelain tile. Whether you choose glazed or unglazed tile, both types have their own unique qualities. As always, it’s best to know the needs of your space and the look you are after. This way, your flooring project will be something you can enjoy for many years in the future. What would work better for your space, glazed or unglazed tile? 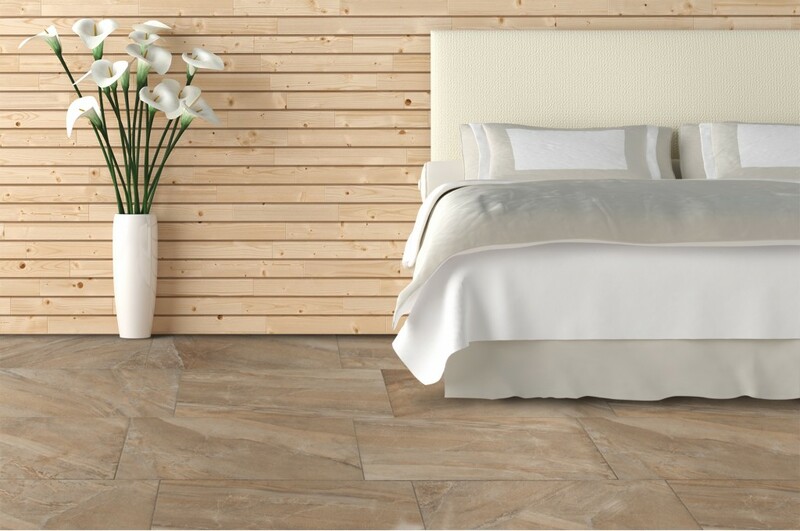 Browse our stunning selection of Ceramic & Porcelain Tile here. Discover the right surface for your renovation. 5 Did you find this article helpful? I am looking for a good type of tile to install in my foyer/kitchen but am so confused with all of the terminology. My biggest fears are that they will be too slippery or they will show everything…what would you suggest in regard to glaze, gloss, etc.